One of the things I like most about spring is harvesting asparagus. Having passed the ‘leave it for two years for the plants to grow before you can harvest’ phase, we are now rewarded with plump spears pushing their way rapidly out of the ground. 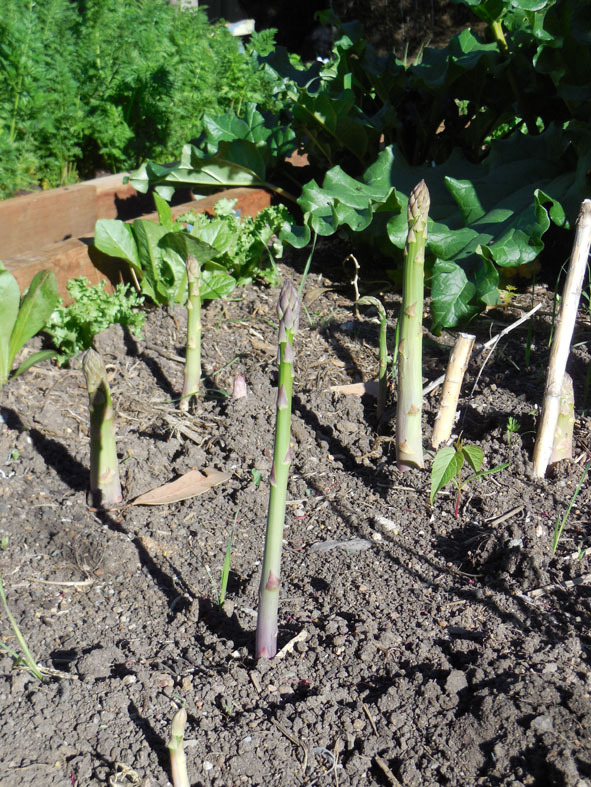 New season’s asparagus leaping out of the ground. Like ‘they’ say when it’s this fresh you need only to quickly cook the spears for the best flavour. 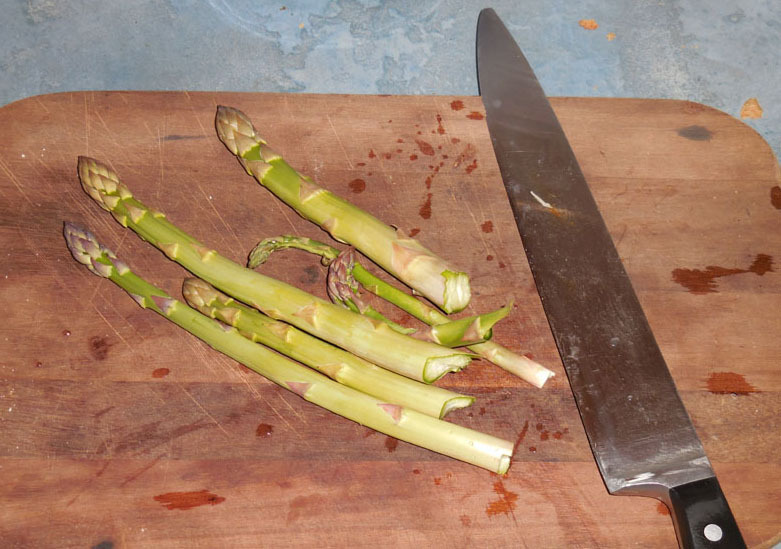 My hot tip is to leave picking your asparagus until immediately before you are about to cook. This is because some of the sweetest flavours quickly disappear the longer the asparagus is out of the ground. On the cutting board and ready to go. 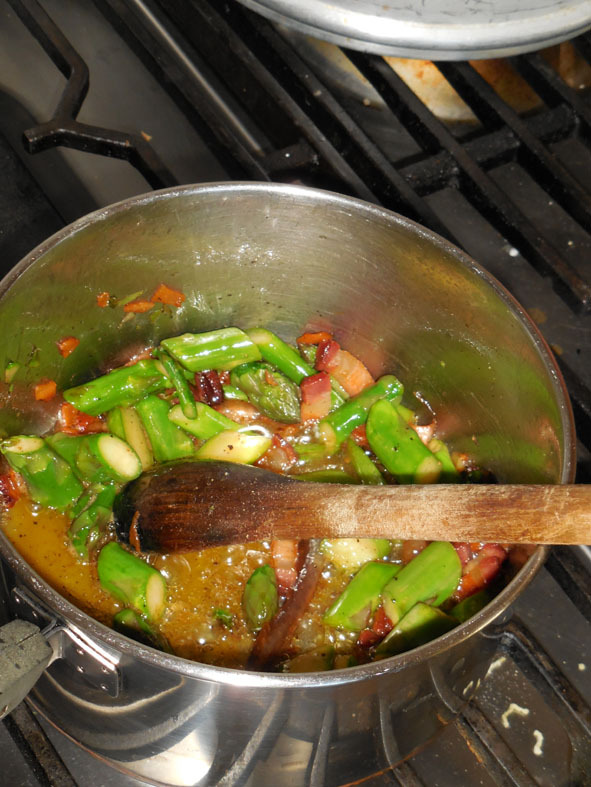 Sauteeing the asparagus and prosciutto. 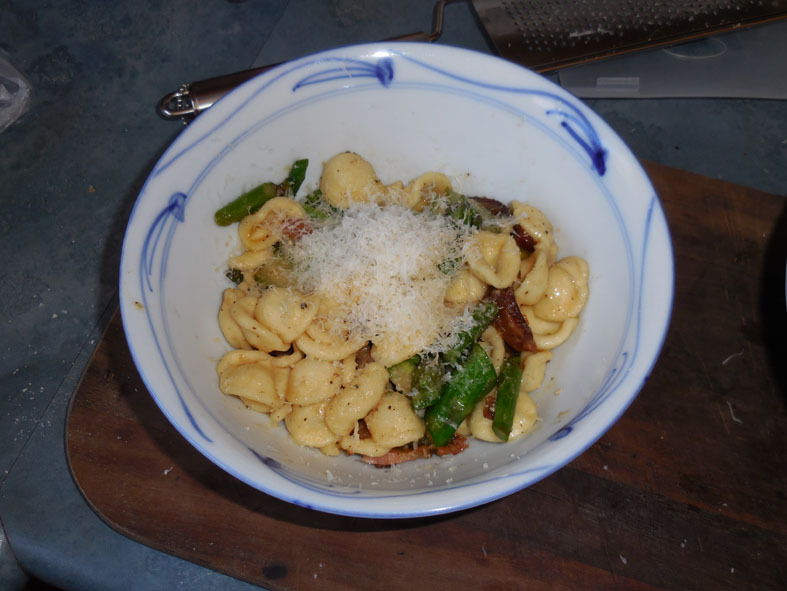 We then stirred this through some cooked orichette pasta and served with some parmesan cheese. Simple and really sweet to taste. A tasty lunch that was quick to prepare. 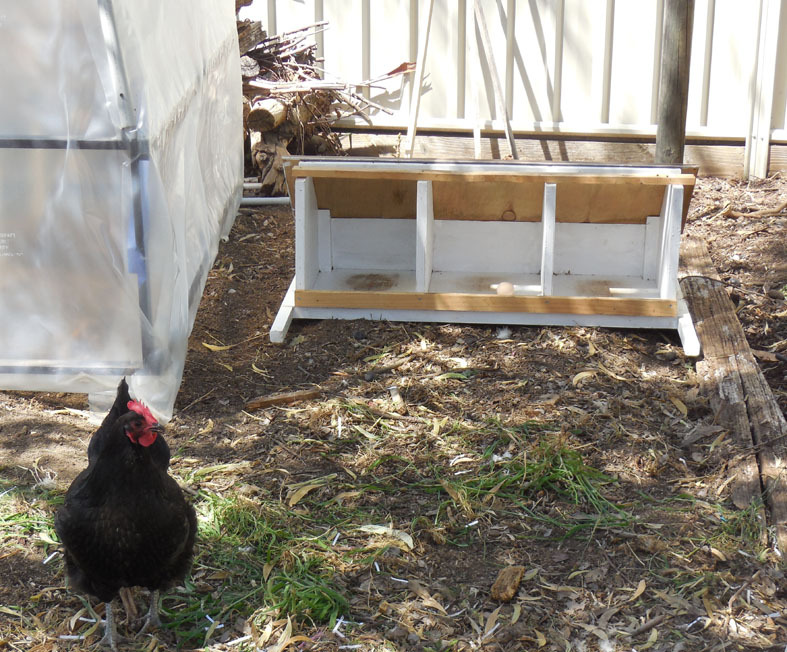 The chook shed is looking pristine, at least for today, as I have done a big ‘spring clean’. This includes dismantling all the bits of the laying boxes and floor and then giving the whole shed first a brush down, followed by a good washing with hot soapy water to discourage mites and any other nasties that get into the woodwork. Clean and tidy for at least half a day! I’d left the nesting box and floor out to dry in the sun and when I came to put it back together I found this! 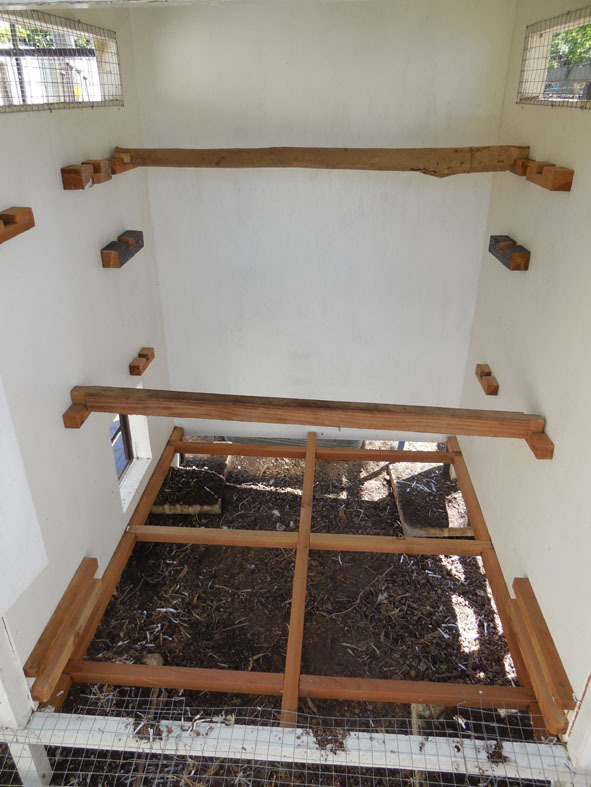 It’s Mid-Twentieth Century modern style for our chickens! 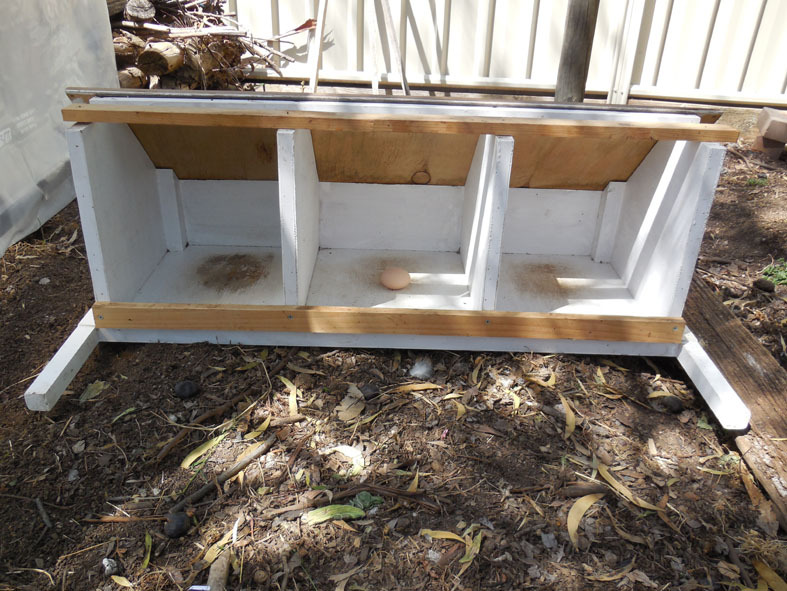 You can’t beat that minimalist design as far as one of our chooks is concerned! 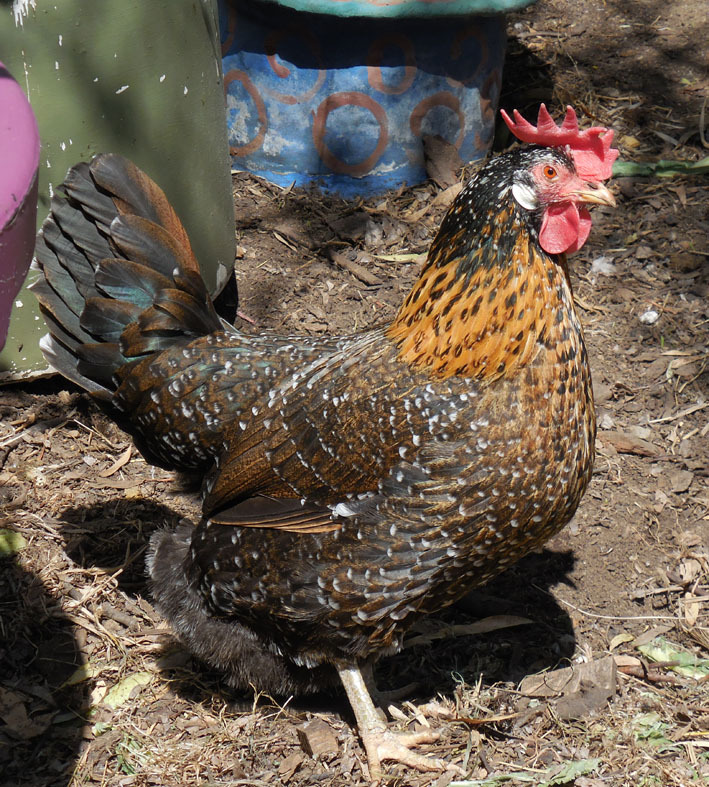 Yes Dotty the Australorp has taste beyond what we ever anticipated. Meanwhile TB has been trying out his new camera taking portraits of ‘the girls’. 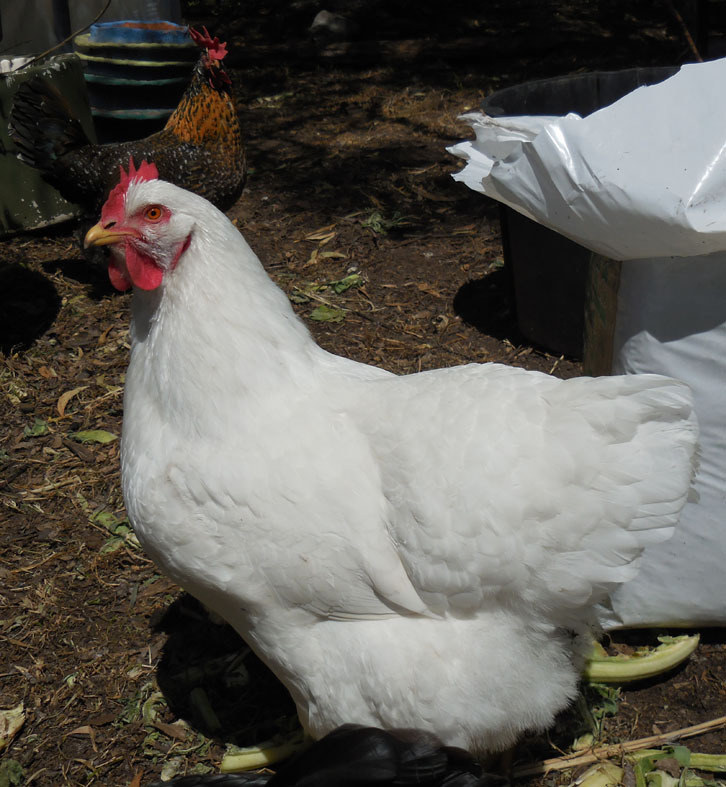 She may be lowest in the pecking order but Letty is the fastest when it comes to eating apple cores. Top of the pecking order, Artemesia the Ancona. 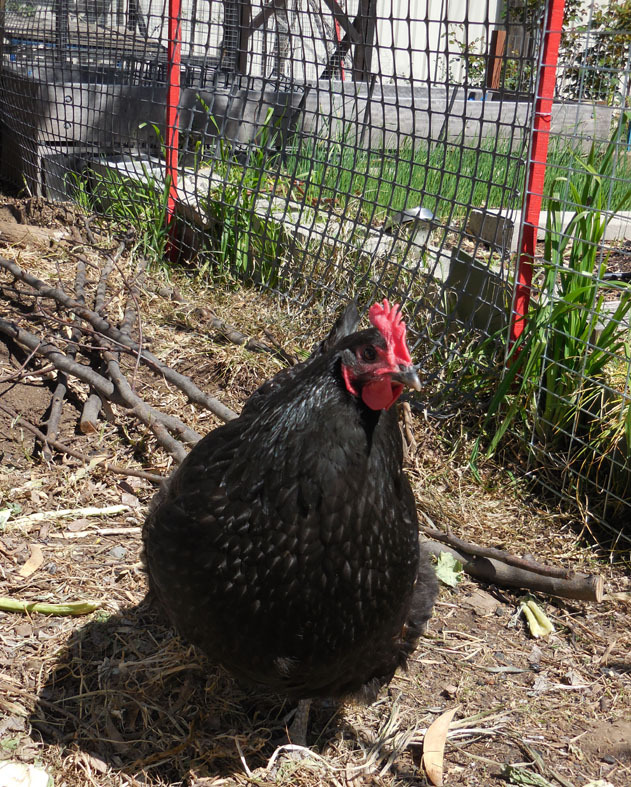 Not to forget the chief explorer and escape artist Dotty the Australorp.